“As we go through [2018, 2019 and 2020], this is a journey that we are on with no definitive end-point for us,” Garland said. “I think the world will always continue to change, but the important thing for us is that we are trying to set the company up to be successful for the next 100 years.” Even with the changes in job functions and responsibilities, Garland said Phillips 66 is committed to Bartlesville and the overall health of the company’s presence in the area. Phillips 66 Retirees Sue Phillips 66 Retirement Plan Investment Committee For Failing To Provide Them A Wider Array Of Investment Offerings In The Company's 401(K) Retirement Plan. The retirees say the Phillips 66 investment committee should have but did not launch an independent review after ConocoPhillips spun off Phillips 66, a failure that cost the plan participants millions of dollars during the times when the price of ConocoPhillips' stock fell, according to the lawsuit. The retirees are seeking unspecified lost profits. The Houston Chronicle reported on October 12, 2017 that three retirees who are seeking to represent about 12,000 other plan participants sued the retirement plan investment committee of Phillips 66 for failing to provide them a wider array of investment offerings in the company's 401(k) retirement plan. Plan sponsors have a fiduciary responsibility to provide a diversified mix of investment options. Plan participants have funneled more than $1 billion into ConocoPhillips stock, representing about 25 percent of the plan's total assets. Many more have invested their retirement savings in Phillips 66 stock. Taken together, plan participants have put more than half their retirement assets into the stock funds of the two energy companies. It's too risky to put so many assets into one industry, especially one as volatile as energy, said Connecticut commercial litigator Robert Izard whose three clients allege the Phillips 66 retirement plan breached its fiduciary duty by allowing the plan to hold massive amounts of ConocoPhillips stock. The Phillips 66 investment committee should have but did not launch an independent review after ConocoPhillips spun off Phillips 66, a failure that cost the plan participants millions of dollars during the times when the price of ConocoPhillips' stock fell, according to the lawsuit. The retirees are seeking unspecified lost profits. Phillips 66 said it would not comment on the lawsuit. The Warwick Courier reported on April 4, 2017 that Phillips 66 confirmed that there are proposals to shut down its 120-employee office in Warwick in the UK. It is currently unknown what will happen to the 120 jobs people hold at the office but it is believed the organisation will try and relocate some of the jobs to its other two sites in London or at its Humber Refinery in Lincolnshire. 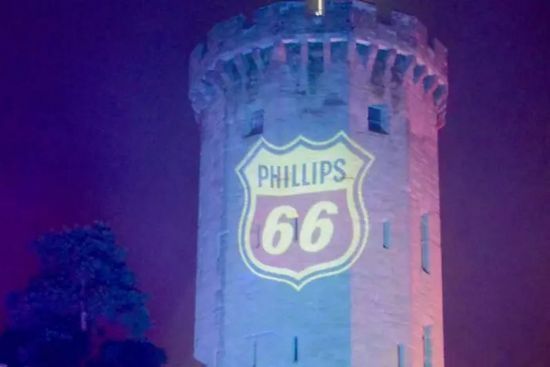 “Phillips 66 is committed to its future in the UK, as demonstrated by continued investment," said a spokesman for Phillips 66. "The UK businesses recently initiated a review to ensure it was well-positioned for a sustainable future in a challenging and ever-evolving market. The review has resulted in a proposed repositioning of our business. The proposal streamlines our support functions and consolidates the business into two core locations: the Humber Refinery, the heart of our UK business, and London, the commercial and trading centre of the UK. As a result it is proposed that our Warwick office will be closing first quarter 2018. The proposed repositioning is subject to the completion of the necessary Information and Consultation processes. It is proposed that the majority of our Warwick-based Marketing roles, with some exceptions, will re-locate to our Aldersgate office in London. In total 116 Warwick-based employees are impacted by this proposed repositioning. Whilst we hope to be able to relocate a significant number of employees from Warwick and have them continue their roles from our London or Humber office, we do recognise the challenge of this proposed change. We expect that a number of employees will elect not to relocate, and we anticipate 59 roles (of which 12 of these are currently vacant) will be eliminated across the three locations as a result of the proposed repositioning." Pension & Benefits Daily reported on February 1, 2017 that the Washington State Court of Appeals has agreed with two Phillips 66 workers that the company’s failure to offer specifically designated sick leave didn’t strip them of protections offered by state law, which forces employers offering paid leave to extend that leave to workers caring for sick family members. The dispute centers on a Washington statute forcing employers that offer paid leave to make that leave available for workers who care for sick family members. Two union-represented Phillips 66 workers filed a lawsuit in 2015 claiming that the company made them choose between using vacation days or taking unpaid leave to care for sick family members. According to the workers, they should have been able to take paid leave through Phillips’ short-term disability insurance policy. Phillips argued that it didn’t have to open up short-term disability benefits for workers’ family care needs, because it allowed workers to take vacation days in the event of their own illness or that of a family member. The court disagreed. In its view, the vacation days offered to Phillips employees didn’t qualify as paid leave “for illness” under the terms of the Washington law. This meant that Phillips’ disability plan—the only clear avenue for employees to take sick leave—could be liable for providing paid family leave, the court said. The Northern California Record reported on January 20, 2017 that three California residents, Kyndl Buzas, Raudel Covarrubias and Daniel Runions, allege that they were required to work 12-hour shifts, were never provided rest breaks and that Phillips failed to provide their employees accurate wage statements. The plaintiffs request a trial by jury and seek all unpaid wages, damages, statutory and civil penalties, restitution, enjoin the defendant, disgorgement, all legal fees plus interest and any other relief as the court deems just. The Vindicator reported on November 20, 2015 that Chevron Phillips Chemical Company was named the Employer of the Year at the Texas Workforce Commission’s (TWC) 19th Annual Texas Workforce Conference held Nov. 18-20 in Dallas, winning among five exemplary finalists, and out of 26 private-sector employers. “Through its innovative partnership with local schools and Workforce Solutions, the Chevron Phillips Chemical Company’s powerful, local approach to workforce development supports a highly skilled workforce while creating jobs for their region,” said TWC Chairman Andres Alcantar. “I commend Chevron Phillips Chemical for its leadership and contributions to the Texas economy. I extend my sincere congratulations.” Together with its 50 percent owner, Phillips 66, Chevron Phillips Chemical with Sweeny ISD developed a petrochemical academy in Brazoria County in 2014. With an initial combined contribution of $1.6 million, the educational academy allows high school students to take dual-credit technical college-level courses while attending high school. “It is an honor for Chevron Phillips Chemical to be recognized as the 2015 Texas Workforce Solutions Employer of the Year. Workforce Solutions is a valuable partner who helps us get the message out that there are excellent career opportunities in the chemical industry,” said Chevron Phillips Chemical Vice President of Human Resources Greg Wagner. Reuters reported on Augusut 31, 2015 that Phillips 66 said on August 31, 2015 that its talks with the United Steelworkers (USW) for a contract covering the unions hourly workes at Alliance Refinery were continuing. "We have a signed agreement with the union to extend the existing contract at the Alliance Refinery through September 11, said Phillips 66 spokeswoman Lara Burhenn. "In the meantime negotiations will continue in good faith." Reuters reported on August 28, 2015 that union workers at Phillips 66's Alliance Refinery rejected a contract offer from Phillips on August 28, 2015, according to an official at the United Steelworkers (USW) which represents the refinery's hourly employees. The workers have continued working on an extension to a previous contract and contract talks continue, said John Link, assistant to the USW Distrcit 13 director. The USW reached a national four-year agrrement with the USW in March, 2015 but the national agreement has to be paired with an agreement with employees at Alliance Refinery over local issues to make the contract for hourly workers at the refinery. Reuters reported on March 12, 2015 that the United Steelworkers union and oil companies have reached a tentative deal to end the largest U.S. refinery strike in 35 years, say people familiar with the negotiations. The tentative contract contains language that addresses worker fatigue, which is tied to accidents, and the use of contractors versus unionized labor. It also safeguards gains made in previous contracts, the union and sources said. They added that annual wage increases would be 2.5 percent in the first year, 3 percent each in years two and three, and 3.5 percent in the fourth year. The deal, which still needs to be ratified, may not end strikes right away at all refineries that have suffered walkouts as local union chapters could still need to work out pending issues. "We salute the solidarity exhibited by our membership," said USW International President Leo Gerard. "There was no way we would have won vast improvements in safety and staffing without it." Reuters reported on March 11, 2015 that the United Steelworkers union (USW) signaled that lead refinery owner representative Shell Oil Co may offer a possible settlement in the coming days that could end the largest refinery strike in 35 years. In a message issued on Wednesday night, the union said it was assembling its policy committee, which represents the rank and file, to review proposals from industry during contract talks. The national agreement being negotiated by the USW and Shell Oil will set the floor on pay and benefits as well as set standards on some safety issues. That agreement must be combined with agreements on local issues at each refinery and chemical plant and then voted on by the membership of the local union for the contract to take effect at each site. At the striking plants, it would likely take about two weeks for approval of a contract and the return of workers to their jobs. Tesoro Carson Refinery, Carson, Calif.
Reuters reported on February 21, 2015 that US refinery strike widened as workers walked off their jobs at the nation's largest refinery, Motiva's 600,250 barrel per day (bpd) refinery in Port Arthur, Texas. The strike may complicate operations at the Port Arthur refinery, which failed to restore its second largest crude distillation unit (CDU) to full production after restarting on Friday following a three-day shutdown to fix leaking piping, sources told Reuters. The refinery's largest CDU, which has a rated capacity of 325,000 bpd is running at about 200,000 bpd, the sources said, because a 60,000 bpd hydrocracking unit is shut due to a malfunction. The hydrocracker produces motor fuel, primarily diesel, which has become a lucrative export for U.S. refiners. Motiva is also overhauling the 92,000 bpd gasoline-producing fluidic catalytic cracking unit at the refinery. It is scheduled to restart in the first half of March. It was shut in early January. The USW also gave notices on Friday of strikes to begin in 24 hours at Motiva's 235,000 bpd Convent, Louisiana and 238,000 bpd Norco, Louisiana refineries and the Shell Oil Co chemical plant in Norco, the union said. "The industry’s refusal to meaningfully address safety issues through good faith bargaining gave us no other option but to expand our work stoppage," USW International President Leo Gerard said in a statement. A Shell spokesman said the company was disappointed by the Port Arthur walkout and strike notices to the Louisiana plants. "We believe this move sets the wrong tone for both parties to move forward and reach an agreement," said Shell spokesman Ray Fisher. "We remain committed to continued safe operations and productive negotiations." Reuters reported on February 16, 2015 that with bout 5,200 workers from nine refineries walking picket lines, a strike by US refinery workers that entered its 16th day could spread if there is no progress in talks this week with plant owners on safe staffing levels, said the lead negotiator for the United Steelworkers union (USW). "The longer that this strike rolls on, the more people that will be affected," said Gary Beevers, USW international vice president. For the union, the use of non-union contractors and lack of an industry-wide policy on preventing worker fatigue are key obstacles to safe staffing. "We're going to talk about safe staffing one way or the other," Beevers said. In dozens of interviews with local USW workers, craftsman and experts, a portrait of the day-to-day role they play emerges: monitoring large electronic boards that detect problems, turning valves, checking the quality of refined products and overseeing work permits. But their biggest contribution, the people say, is serving as the refinery’s frontline defense when things go wrong. At least three of the nine U.S. oil refineries targeted by a nationwide strike of USW members have reported upsets and unplanned repairs since their workers walked out on Feb 1. There is no indication of what caused the upsets, none of which resulted in any harm or serious damage to equipment. AP reported on February 8, 2015 that members of the United Steelworkers union walked off their jobs at refineries in Whiting, Indiana, and Toledo, Ohio, joining a walkout that began this week at nine other refineries. BP’s Whiting refinery employs about 1,860 employees, more than 1,000 of whom are represented by the steelworkers. The Toledo refinery, which it owns 50-50 with Canada’s Husky Energy, has about 600 workers, including more than 300 steelworkers. Union spokeswoman Lynne Hancock said the workers are seeking better health care benefits and limits on the use of contractors to replace union members in maintenance jobs. She said wages are not an issue. The Whiting and Toledo plants will be staffed by replacements including retirees and former front-line workers who now hold salaried jobs, said BP spokesman Scott Dean. KXLH reported on February 7, 2015 that about 70 union workers and their families held an informational picket for solidarity holding signs reading "Solidarity is Strength" and "Understaffing does not equal Safe Refineries." Billings is home to a Phillips 66 refinery. President of the local group for Phillips 66 with United Steel Workers Wade Johnson said its also a display of community. Johnson added that "a safe community is important to the guys who work at this plant, it always has been. We take that very seriously," Johnson said. "And understaffing is a serious threat to community and the safety of the community." When asked why understaffing was a threat, Johnson said workers get fatigued. "On paper, these facilities tell us that they're giving us enough staffing. But then they'll pull 10 to 15 percent of the people out on any given week to do other projects. Other people have to cover that with overtime," Johnson said. "I just think we want folks to know that we're part of this community," he said. "All of these actions across the country are community actions. We're trying to get local folks hired at these facilities and we're trying to get enough of us hired so we're not always tired." The Hill reported on February 6, 2015 that workers at nine oil refineries will carry on their strike until next week after their union rejected the sixth contract offer from Royal Dutch Shell. “The parties have recessed and have agreed to resume talks,” said Shell spokesman Ray Fisher. The union wants more rules to reduce worker fatigue, a 6 percent pay bump and measures to prioritize union members for work over contract workers. The 50 percent drop in oil prices is making negotiating tougher for the union than in previous negotiating attempts a giving Shell a major bargaining chip, Reuters said. On February 4, 2015, two refineries affected by the strike - Tesoro Corp's Los Angeles-area refinery in Carson, California, and Marathon Petroleum Corp's Galveston Bay Refinery in Texas City, Texas - reported leaks to regulators. Strikes could complicate the ability of the companies to carry out maintenance work after the upsets, analysts say. Bloomberg reported on February 3, 2015 that Tesoro Corp. is shutting half of its 166,000-barrel-a-day Martinez plant in California that wasn’t already idled for maintenance. The facility already had about half its processing capacity offline for maintenance. The company has “successfully transitioned and are operating” the Anacortes and Carson refineries, said Tesoro spokeswoman Tina Barbee. Reuters reported on February 2, 2015 that union workers were on strike for a second day on Monday at nine U.S. refineries and chemical plants as they sought a new national contract with oil companies covering laborers at 63 plants. Shell activated a strike contingency plan at its joint venture refinery and chemical plant in Deer Park, Texas, to keep operating normally. Tesoro said management was operating its refinery in Carson, California, and that managers would take over from union workers at its plant in Anacortes, Washington, in the next 24-48 hours. 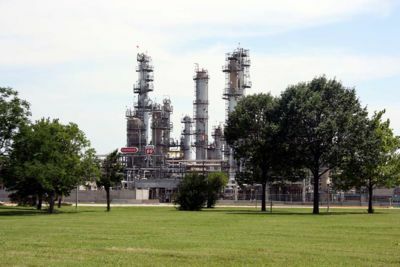 Besides Shell and Tesoro, the USW said strikes were called at three plants belonging to Marathon Petroleum Corp (MPC.N) in Texas and Kentucky, and LyondellBasell Industries NV's (LYB.N) plant near Houston. At least two of the plants on the list have a history of deadly accidents. The United Steelworkers said all other refineries it represents would operate under rolling 24-hour contract extensions. The union is seeking annual pay raises double the size of those in the last agreement. It also wants work that has been given in the past to non-union contractors to start going to USW members, a tighter policy to prevent workplace fatigue, and reductions in members' out-of-pocket payments for healthcare. Reuters reported on January 30, 2015 that union negotiators said the latest proposal from oil companies for a new three-year contract for U.S. refinery workers was rejected on Friday because it failed meet to members' objectives. The announcement came 28 hours before the current contract covering hourly workers at 63 refineries accounting for two-thirds of U.S. refinery capacity is set to expire. "Industry's latest offer fails to address issues that matter to USW members," said the text message to union members, which was also sent to the media. "All units instructed to reject." This is third offer from lead industry negotiator Royal Dutch Shell Plc that USW negotiators have rejected since talks began on Jan. 21. The USW is seeking annual pay raises double those of the last agreement negotiated in 2012. It also wants work that has been given in the past to non-union contractors to start going to USW members along with a tighter policy to prevent workplace fatigue and reductions in members' out-of-pocket payments for healthcare. The union and refineries have both prepared for a possible strike, which the union signaled on Monday may be needed to win concessions from the oil companies. Natural Gas Intelligence reported on January 30, 2015 that DCP Midstream, a 50-50 joint venture between Phillips 66 and Spectra Energy, has announced it was cutting its workforce by 20% and closing a regional office. 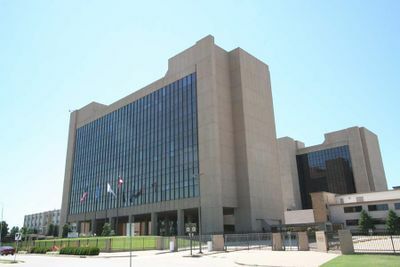 The Oklahoma City office is to close, and the workforce is being reduced in the Tulsa office and Midland, TX, office. Functions would be primarily moved to Denver headquarters and the Houston regional office. "With a 90-year history, we are repositioning ourselves for the long term and ensuring we have a sustainable workforce that meets our future needs," said CEO Wouter van Kempen. "While this transition is difficult, we are establishing DCP for continued growth founded upon a culture of operational excellence." Reuters reported on January 26, 2015 that the United Steelworkers union (USW) signaled on January 26, 2015 a strike by U.S. refinery workers may be necessary to win what it calls a fair contract from oil companies. "Challenging bargaining continues," the USW said in a text message to members on Monday night. "Industry still isn't getting serious. Local unions are preparing to do whatever it takes to win fair contracts." Union and oil company negotiators met for a sixth day of negotiations on Monday ahead of the current contract expiring at 12:01 a.m. on Sunday in the time zone where each refinery is located. Refineries have been preparing for a possible strike by training temporary replacement workers and by placing trailers on refinery grounds as quarters for the replacement workers. Reuters reported on January 25, 2015 that wiith just a week of bargaining left until the national contract for U.S. refinery workers expires, the United Steelworkers union (USW) said talks with oil company representatives for a new pact were going slow, according to a Twitter message sent to members. 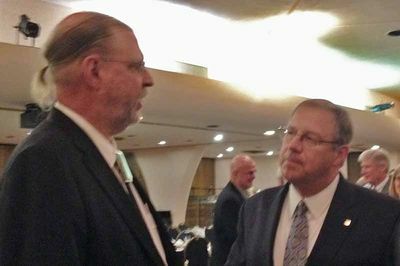 "It's time for the industry to get serious about addressing issues that matter to USW members," the message said. "Be ready to stand up and fight back!" The USW rejected the first industry proposal on January 23, 2015, calling it "inadequate and offensive," according to a message sent to members. The Steelworkers are seeking annual pay raises double those of the last agreement. The union also wants work given to non-union contractors to go to USW members, a tighter policy to prevent fatigue and reductions in members' out-of-pocket payments for health care. The union and refiners have made preparations for a possible strike in February. The last nationwide refinery workers' strike was in 1980 and lasted for three months. BBC and Harrogate reported on November 13, 2014 that striking workers have returned to work at Phillips 66's Humber Refinery after three days of industrial action claiming safety concerns following a gas leak last week in which two people were taken to the hospital. Engineering construction employees at the Humber Refinery decided at a mass meeting to return to work after spending three days on strike. The GMB union, which said it was aware of a health and safety issue on the site, said a meeting was being held between shop stewards and managers to finalise details of a return to work. Phillips said it would hold meetings with staff and the managers of contract companies and would "engage in open and honest dialogue to address any concerns outstanding and will work to reach a satisfactory conclusion". "Safety is the Humber Refinery's number one priority," it added. The Grimsby Telegraph reported on November 13, 2014 that that contractors voted to go back to work today, following days of walkouts amid safety concerns. "This morning, contractors have returned to work," said spokeswoman Nina Stobart. "Phillips 66 will engage in open and honest dialogue to address any concerns outstanding and will work to reach a satisfactory conclusion. Safety is the Humber Refinery’s number one priority." Despite the vote for 'yes', one disgruntled worker said: "They've asked for a show of hands and the group is clearly split; they're not going to do anything until someone is killed." Contract workers initially walked out on Monday after claiming that refinery bosses had reneged on an agreement to meet them in person following a gas leak at the site last Wednesday, which left two people requiring hospital treatment. “The employer has climbed down a bit but Phillips 66 do not want us in the meetings with contractors as they seem to be anti-Union but they are creating a recipe for disaster," Shaune Clarkson, regional organiser for GMB. BBC reported on November 12, 2014 that 450 contract employees have stopped working at the Humber Refinery in South Killingholme for the thirdday claiming concerns over "safety issues". GMB union officer Shaune Clarkson said his members wanted "reassurance" from management that the plant was safe. A spokeswoman for Phillips 66 said: "This morning, despite the repeated offers by the refinery management to meet face to face with each company and their staff, the contractors voted to stay off work for a third day in unofficial action." The company said the refinery was "not being impacted by this action". The GMB union national officer Phil Whitehurst said: "Following a major stoppage of work we have been advised that there is a major health and safety issue on the site. GMB has been refused access to the site in order to resolve what has been described to us as a major hazard. We urge the company to allow the union on to the site to try to resolve the issue as quickly as possible for the safety of workers and the public." BBC reported on November 11, 2014 that hundreds of contract workers have downed tools for a second day at Phillips 66's Humber Refinery over "safety concerns" after two workers were injured by a steam leak on October 30, 2014. Phillips employs 1,000 contractors and 750 staff. 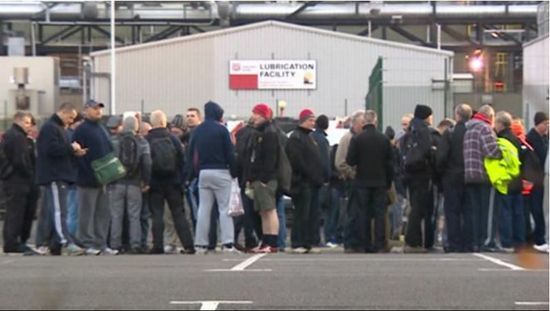 Mechanical engineers, scaffolders, welders and pipe-fitters are among the workers who have walked out. GMB union officer Shaune Clarkson said his members wanted a meeting with management to discuss safety at the plant. "The most important thing when you walk through those gates in the morning is you get home safely to your families at night," said Clarkson. "All we want, and all the men want, is a reassurance that is going to happen." A company spokeswoman said Philips 66 had been holding an "ongoing dialogue with contractor management over the last week to discuss their issues, many of which relate to onsite communications". BBC reported on November 10, 2014 that 450 contract workers walked out at Phillips 66's Humber Refinery on November 10, 2014. The "unofficial" action is over communication issues at the site. However the GMB union says it's over safety concerns after a gas leak at the site last week in which two men were injured. Phillips 66 confirmed there had been "a small gas release on a unit during some routine maintenance work at the Humber Refinery" last Wednesday. "All we want is a reassurance that the site is safe [and] some safety issues addressed. Unfortunately, the employer has failed to do that and because of that then men have reacted," said GMB union officer Shaune Clarkson. "This is the straw that's broke the camel's back." A company spokeswoman said: "We can confirm that earlier today, at approximately midday, a number of contract workers left site in unofficial action. "We have been in ongoing dialogue with contractor management over the last week to discuss their issues, many of which relate to onsite communications, and will continue to work with them to reach a satisfactory conclusion." BBC reported on October 30, 2014 that two workers were injured by a steam leak at the Humber Refinery at 09:30 GMT. Phillips said the pair had been taken to Pinderfields Hospital in Wakefield by air ambulance. The company has given no more information on the employees' injuries and said it was offering support and assistance to their families. Colin Rigley reported at the New Times on April 16, 2014 that health and safety specialists at Phillips' Santa Maria Refinery allege Phillips officials warned them in January, 2012 that if they joined the United Steelworkers Union they would lose hours, be stripped of managerial powers, and as many as three of them could lose their jobs. “The insinuation here was that, ‘We may not need all of you,’” one of the specialists said in a written statement submitted to the labor board. When the newly unionized group went to the bargaining table in December, 2012, the specialists say in a complaint filed with the National Labor Relations Board that Phillips management carried out its threats. Phillips' proposed contract on December 10, 2012 allegedly included the threatened reductions of hours and responsibilities. The refinery’s health and safety specialists serve as organizers of the plant’s emergency response crew. Though none of the health and safety specialists was fired, three of them were transferred from their primary roles into regular plant operations, according to the complaint. The union is seeking to recover lost wages for the health and safety specialists, and to have their original job functions restored. Those lost wages totaled as much as $17,000 per year for some employees. In its complaint, the union further alleges that Phillips 66 bargained in bad faith when it imposed the 2012 contract. In addition to the reduced contract for health and safety specialists, the union alleges that the company violated federal labor laws when it implemented “news media guidelines” in October 2012. Those guidelines instructed employees not to speak to news media and, “It is against company policy for anyone but an authorized company spokespersons [sic] to speak to the news media.” The company defends its policy as a routine business practice that violated no labor laws. The Grimsby Telegraph reported on September 30, 2013 that more than 100 contractors at the Humber Refinery in Killingholme held on early morning protest on their own time outside the gates of the refinery to protest Phillips' plan to cut the 20 minute mid-morning refreshment break that goes into force January 1. "Everyone knows the importance of a break, especially in this kind of workplace." said one contractor who declined to be identified. "We need the tea break to refresh, to cool off and rehydrate." The Grimsby Telegraph reported on October 1, 2013 that over 100 contractors met with union representatives and held a indicative vote through a show of hands to bring about the process of a legal vote for strike action over Phillips' plan to remove their 20 minute morning break starting January 2014. "When we are up there working in the freezing cold we need that tea break to warm up, when we are out there in the blistering heat we need that tea break to cool down," said an unidentified contrator. "They tell us safety first and tell us to follow guidelines but taking this break away means we are not following safety guidelines. When they are sat in ivory towers they can have their tea breaks still." In January 2012, members of the USW Local 534 took to the picket lines outside the plant’s gates to protest the management’s hard-line on their then-ongoing labor negotiations. One of the issues of contention: a “fatigue policy” for work schedules. And another: safety equipment improvements. According to Fountain, plant operators seem to be upset over the reorganizing of the safety department, as well, as they’ll now be seeing additional job duties and training requirements on top of an already-full workload. “I love this company, I obviously have no problem with Big Oil, [Phillips is] good to the environment—it’s just the way their mentality is,” one employee told New Times. “These [HSS specialists] make [the company] look better if an emergency happens, but there’s a calculated risk, and if they can get away with something, they will. “It’s going to take somebody high in the chain to say stop. That’s the way these people think,” he added. Reuters reported on September 10, 2012 that union members at Phillips 66 Bayway refinery ratified a three-year contract with 52 percent of the 288 members of the Teamsters union at the refinery voting in favor of the contract which takes effect on October 1, 2012. Union leadership recommended the contract be accepted but several members of the union expressed displeasure with some of the work rights and quality of life changes in the new contract. Reuters reported on September 7, 2012 that members of the Teamsters Union at Bayway refinery vote on September 7, 2012 on whether to ratify their latest labor contract. The existing union contract ends on October 1, 2012 but if the contract is voted down there will not be an immediate strike but rather a return to negotiations. Contract negotiations began in June which provided a longer window for the talks. Although The contract was recommended by the union's executive board, according to a source familiar with the situation, some union members plan to vote against the contract which includes issues concerning work rules, overtime pay, and scheduling changes. Rich Johnson, a spokesman for Phillips 66, said the company would prefer to wait until after the ratification vote before offering any comment. Fox News reported on August 30, 2012 that over the next decade, the number of Petroleum Pump System Operators, Refinery Operators and Gaugers is expected to decline by 14% from 44,200 in 2010 to 38,000 by 2020. The Billings Gazette reported on May 30, 2012 that according to Wade Johnson, president of the United Steelworkers International union in Billing that twenty-one pipefitters, welders and insulators and three supervisors were fired from the Phillips 66 refinery on May 30, 2012. “They were certainly not given an option of keeping their jobs,” said Johnson. “So, I would call that being fired.” Rich Johnson, a Phillips 66 spokesman based in Houston, said the company took some individual personnel actions. “I can tell you we took personnel actions against employees today,” said Johnson said. “But it is our company policy not to comment on personnel matters.” According to KTVQ TX the workers were fired for for knowingly violating policy in regard to hours worked at the refinery. "There are no mass layoffs taking place at the refinery," said Johnson. KTVQ reported on May 31, 2012 that the United Steelworkers International union says it plans to fight the dismissal of 21 union employees at the Billings Phillips 66 refinery. Union president, Wade Johnson, with the United Steelworkers International in Billings, says the union believes the employees were wrongfully discharged. According to a comment to the story by Kathy Reinhardt the fired workers were called in to work extra hours so that turnaround could be completed at the refinery. According to a comment by Jonathon Sapp the supervisor who called the men in to work should have been held responsible. Phillips Celebrates 66 Years of Splash Club Tradition in Bartlesville. The Phillips 66 Splash Club in Bartlesville is celebrating its 66th year of tradition, of fun, or hard work, of a journey to national and international significance, and of helping to mold countless children into successful adults and of excellence. Kenneth Treadway founded the Phillips 66 Splash Club on December 6, 1950. Since then thousands of swimmers have participated, including second-generation Splash Club members. The Splash Club has developed Junior National Championship, National Championship, and Olympic Trials Qualifiers. In addition, U.S. National Team members, High School All-American Swimmers, and collegiate swimmers have been fostered by Splash Club. We are recognized as one of the finest programs in the nation including members holding state records. The team name was changed in September of 2002 to reflect the merger of Phillips Petroleum Company and Conoco to the ConocoPhillips Splash Club. In 2012 the team again changed names to Phillips 66 Splash Club to reflect the separation of Phillips 66 from ConocoPhillips. Olivia Pulsinelli reported at the Houston Business Journal on August 20, 2014 that Phillips 66 has one of the 25 top-ranked 401(k) plans in Houston, according to a new list from BrightScope Inc., an independent financial information and investment research company. Phillips plan has 87% employee participation and is rated No 7 in Houston. ↑ Bartlesville Examiner-Enterprise. "Phillips 66 reports workforce cuts" August 12, 2018. ↑ Houston Chronicle. "Phillips 66 retirees say 401(k) plan should drop ConocoPhillips stock option" by L. M. Sixel. October 12, 2017. ↑ Warwick Courier. "Jobs at risk as Phillips 66 propose to close Warwick office" April 4, 2017. ↑ Pension & Benefits Daily. "Phillips 66 Loses Battle Over Washington Paid Leave Law" by Jacklyn Wille. February 1, 2017. ↑ Northern California Record. "Phillips 66 Co. employees allege the company violated state labor codes" by Wadi Reformado. January 20, 2017. ↑ The Vindicator. "Chevron Phillips Chemical Honored at Texas Workforce Conference" November 20, 2015. ↑ Reuters. "Workers reject Phillips 66 contract offer at Alliance Refinery" August 28, 2015. ↑ Reuters. "Union says tentative deal reached to end U.S. refinery strike" March 12, 2015. ↑ Reuters. "Union signals possible proposal coming to end U.S. refinery strike" March 11, 2015. ↑ San Antonio Business Journals. "Oil workers strike expands to another Texas refinery, Tesoro workers still on picket line" by Sergio Chapa. February 23, 2015. ↑ Reuters. "U.S. refinery strike widens to include nation's largest refinery" by Erwin Seba. February 21, 2015. ↑ Reuters. "USW leader: U.S. refinery strike could spread over safe staffing" February 16, 2015. ↑ Reuters. "Managers bunk down at U.S. refineries as strike enters third week" by Jarrett Renshaw. February 15, 2015. ↑ Chicago Sun-Times. "Steelworkers expand strike to 2 BP refineries in Midwest" February 8, 2015. ↑ KXHL. "http://www.kxlh.com/story/28053374/union-workers-stage-informational-picket-outside-conocophillips-facility-in-billings" February 7, 2015. ↑ The Hill. "Oil refinery strike to extend to next week" February 6, 2015. ↑ Reuters. "Union rejects sixth refinery offer from Shell; talks next week" by Erwin Seba. February 5, 2015. ↑ New Times. "Phillips 66 Santa Maria Refinery workers show solidarity with union strikers" by Rhys Heyden. Feburary 4, 2015. ↑ Bloomberg. "Refinery Shuts as U.S. Oil Workers Strike Reaches Second Day" February 3, 2015. ↑ Reuters. "U.S. workers strike for second day at nine refineries; one to shut" by Erwin Seba. February 2, 2015. ↑ Reuters. "Union says rejects U.S. refinery workers contract offer on Friday" January 30, 2015. ↑ Natural Gas Intelligence. "DCP Midstream Cuts Workforce by 20%" January 30, 2015. ↑ Reuters. "Union signals U.S. refinery workers may have to strike" January 27, 2015. ↑ Santa Maria Sun. "Judge rules that Phillips 66 news media policy violates the law" by David Minsky. December 25, 2014. ↑ BBC. "Humber Refinery workers return to work after strike" November 14, 2014. ↑ Harrogate. "Refinery workers end wildcat strike" November 13, 2014. ↑ BBC. "Humber Refinery workers walk out for a third day in safety row" November 12, 2014. ↑ Shipshire Star. "Refinery workers continue strike" November 12, 2014. ↑ BBC. "Humber Refinery workers walk out for a second day in safety row" November 11, 2014. ↑ BBC. "Humber Refinery workers walk out in safety row" November 10, 2014. ↑ BBC. "Two injured at North Lincolnshire oil refinery" October 30, 2014. ↑ Hydrocarbon Processing. "US refinery union workers seek substantial raises" by Lynn Doan. November 3, 2014. ↑ New Times. 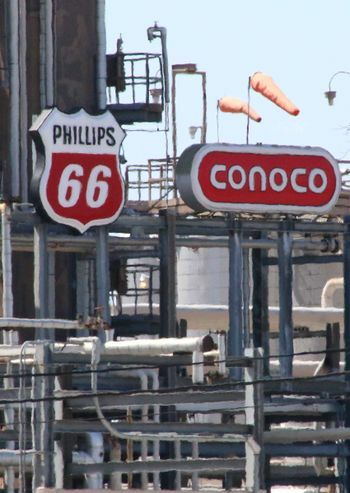 "Organized opposition: Phillips 66 health and safety specialists allege they were punished for unionizing" by Colin Rigley. April 14, 2014. ↑ Grimsby Telegraph. "Phillis66 Contractors' Early Morning Protest Against Cuts to Breaks" September 30, 2013. ↑ Grimsby Telegraph. "Phillips 66 contractors hold vote to consider industrial action" October 1, 2013. ↑ New Times. "Re(de)fining safety" by Matt Fountain. December 13, 2012. ↑ Reuters. "Phillips 66 Bayway refinery workers ratify contract" September 10, 2012. ↑ Reuters. "Phillips 66 Bayway refinery workers to vote on contract Friday" September 7, 2012. ↑ Fox News. "America’s 10 Disappearing Jobs" August 30, 2012. ↑ Billings Gazette. "Phillips 66 refinery in Billings fires 21 union workers, 3 supervisors" May 30, 2012. ↑ KTVQ TX. "Local refinery fires two dozen employees, for stealing time" May 30, 2012. ↑ KTVQ. "Union representative says employees wrongfully discharged from Phillips 66" by Q2 News. May 31, 2012. 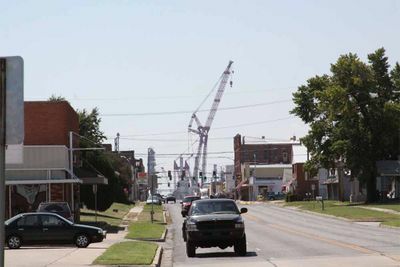 ↑ Bartlesville Examiner-Enterprise. "Phillips 66 Splash Club: A time to remember, a time to celebrate" by Mike Tupa. August 18, 2016. ↑ Phillips 66 Splash Club retrieved August 18, 2016. ↑ Houston Business Journal. "Which companies have the best 401(k) plans in Houston?" by Olivia Pulsinelli. August 25, 2014. ↑ Houston Business Journal. "Fighting decay to retain employees" by Jenny Aldridge. April 1, 2014. This page was last modified on 21 August 2018, at 02:02. This page has been accessed 15,751 times.